Congratulations to our top fundraisers. Thank you for your generous support and dedication to our mission! 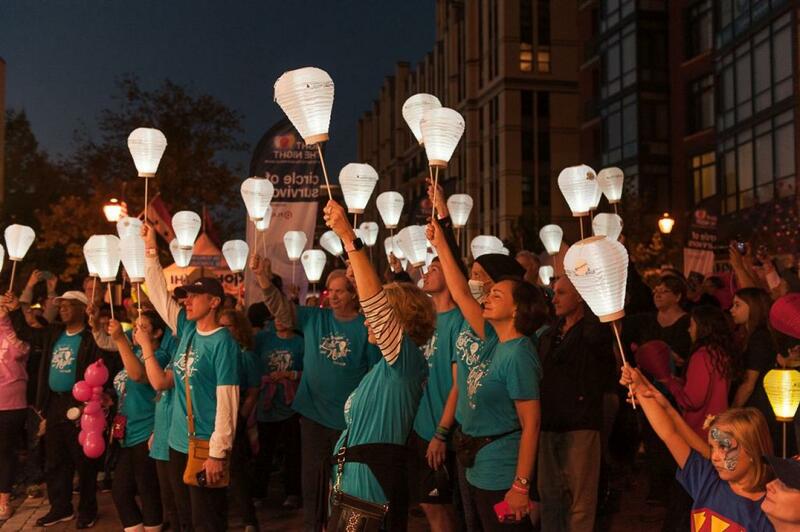 Light The Night Teams honor or remember a loved one who battled or is currently battling cancer and makes a difference in the lives of millions of people who have been touched by blood cancers. The funds raised by teams are invested in critical cancer research, patient services, and community outreach programs to help enhance, prolong, and save the lives of blood cancer patients. As there are no means of preventing blood cancers, the LLS research agenda is focused on finding treatments and cures. In fact, we have invested more than $1.2 billion in research since our inception 68 years ago. For every victory in blood cancer, challenges remain. That is why LLS remains steadfast in our commitment to advance the most promising research around the world and drive forward innovative therapies that improve and save the lives of patients. As the leading source of free blood cancer information, education and support for patients, survivors, families and healthcare professionals, LLS helps patients navigate their cancer treatments and ensures they have access to quality, affordable and coordinated care. Research will help us achieve an end to blood cancers. In the meantime, patients need help before, during and after their diagnosis and treatment. LLS is the leading nonprofit that does just that. To learn more about how funds are invested, visit: http://www.lls.org/who-we-are/financials.